Now, we know what you’re all thinking. How on earth is it Christmas time again? Don’t worry, we’re just as perplexed as you. 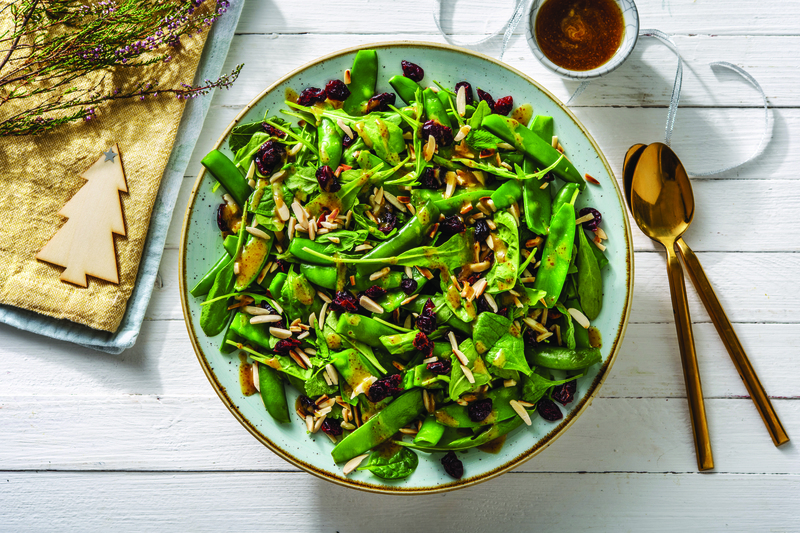 When creating the HelloFresh Christmas Box (which takes months to prepare), it always seems so far away and then BAM, it’s here…but nevertheless we are SO excited! 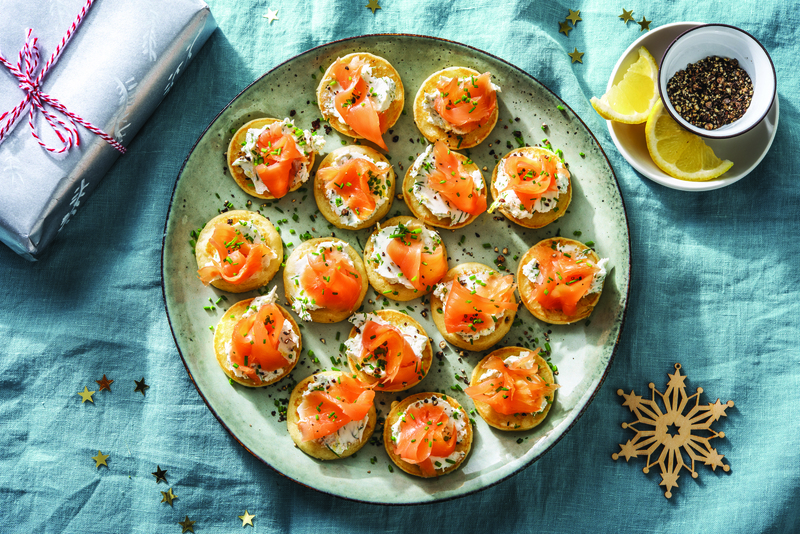 Whether you’re hosting Christmas for the whole fam, your closest friends or perhaps you want to gift the Christmas Box to a relative, we’ve created a delicious feast with a range of recipes that everyone will love. 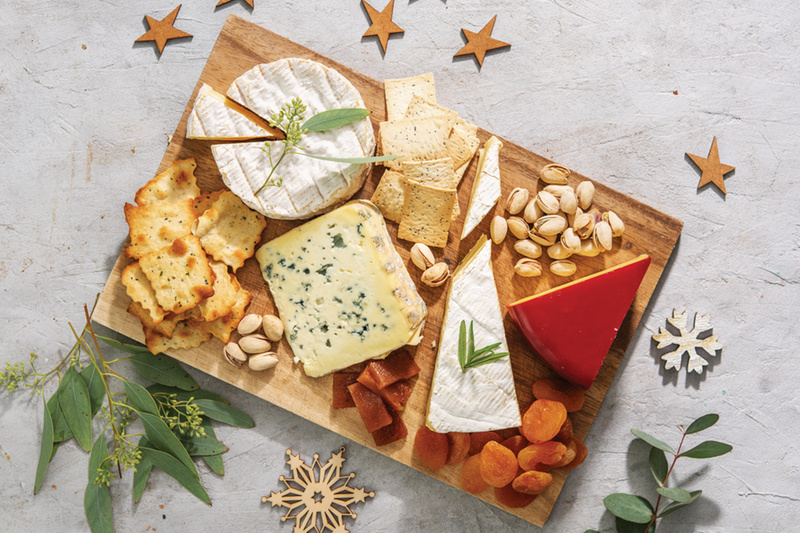 There’s also the option to add a Gourmet Cheese Box to your purchase for that extra holiday cheer, because let’s face it, who doesn’t love a cheese platter? 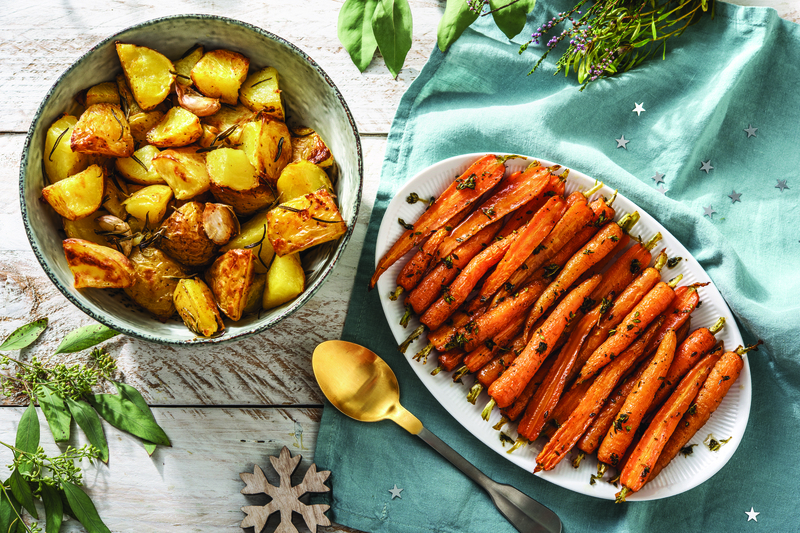 What’s on the HelloFresh Christmas menu? 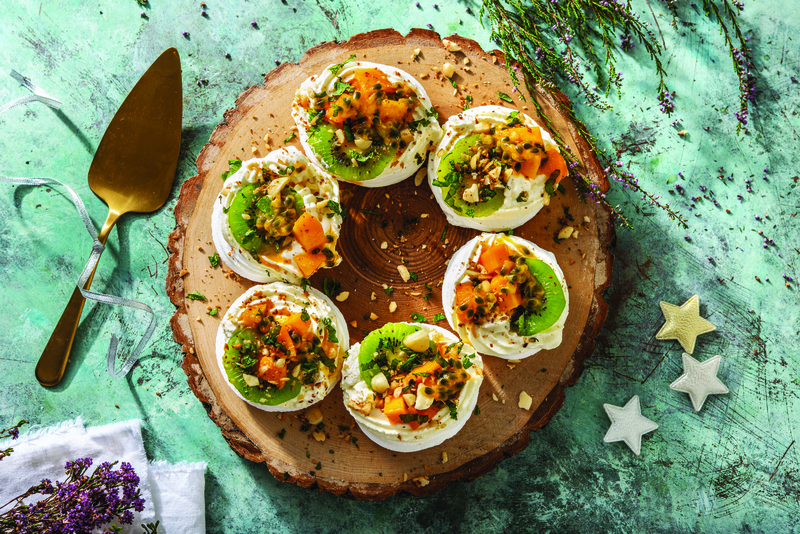 What better way to kick off a Christmas feast than with these luxurious bites of creamy and tangy dill goats cheese with delicate smoked salmon. What’s a blini you may ask? Blini is a Russian pancake, similar to a crêpe and makes the perfect base for these bite-sized starters. Everything about this dish screams Christmas. From the fresh tomatoes, to the basil and even the crumbled fetta, could this dish be any more colour coordinated for Christmas? Not to mention the mouth-watering balsamic glaze that makes this dish a work of art. These crostini are the perfect balance to shine alongside your blini bites. Roasted chicken and stuffing? It really is Christmas time! 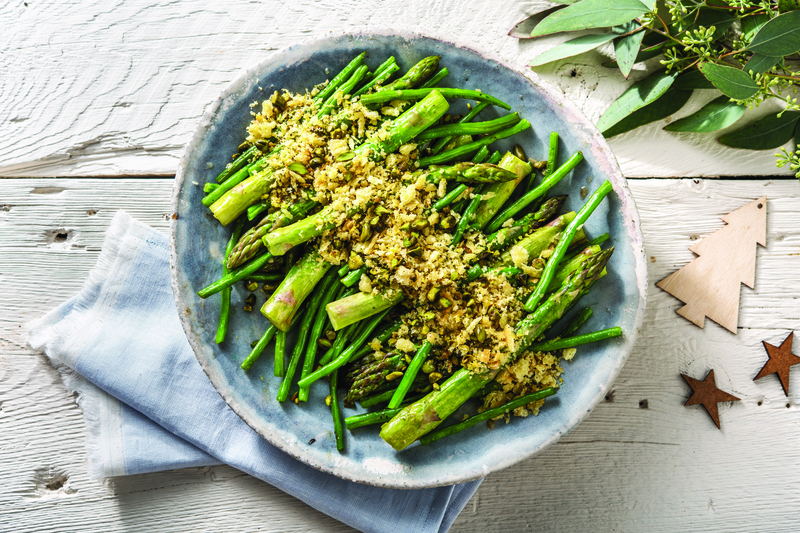 Packed with loads of flavour, this gorgeous golden feast is fit for a king and is definitely a dish that’ll wow the crowd. What’s Christmas without a Christmas ham?! Topped with a marmalade glaze and zesty rosemary, you won’t be able to slice this up fast enough! Once cut, be sure to grab a piece or two quick…it won’t last long. We love a refreshing dessert and what better than mini pavlovas! Topped with fresh fruit and macadamias for extra crunch, this one’s sure to be a crowd pleaser. Well of course there’s brownie! It would be rude not to. 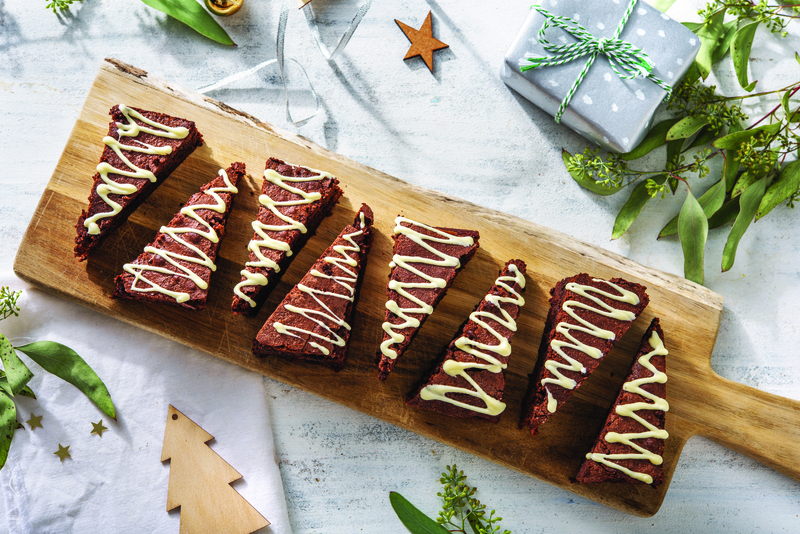 Cut in the shape of Christmas trees and decorated with white chocolate drizzle…we couldn’t think of a better way to end a delicious Christmas feast. Looking for the perfect platter for when your guests arrive? Or perhaps you’re wanting to bring out a post-feast snack (if there’s any room). Either way, this selection of cheese, crackers, nuts and dried fruits has something for everyone! We love choice and this platter delivers the best! 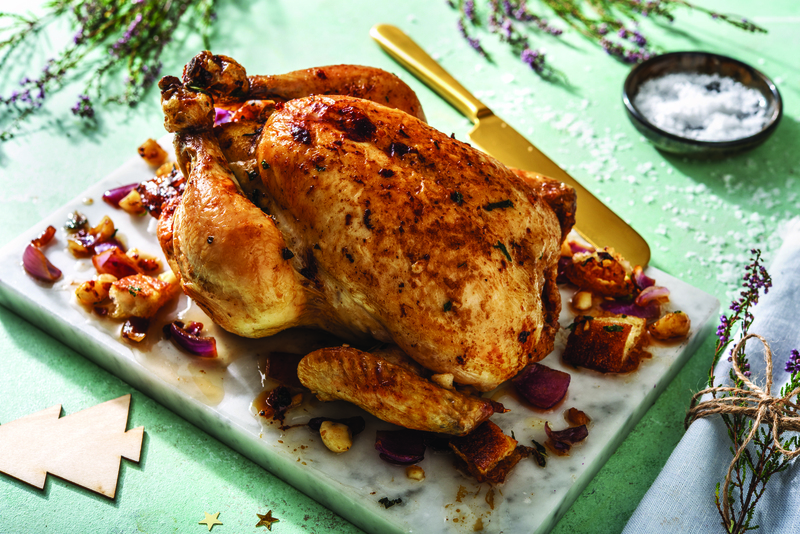 Ready to serve up an unforgettable Christmas feast this festive season? Click here to order your box today!